I absolutely love Japanese food, so trust me when I say that the next time I’m craving the next donburi or piping hot bowl of kaminabe, I’m heading to Misato, a quaint and classy Japanese restaurant hidden at The Centrepoint‘s first floor. Not only does Misato serve up authentic Japanese cuisine, with many of its recipes sourced and ingredients imported directly from Japan, its new All-You-Can-Eat A La Carte Buffet entitles you to unlimited servings of mains, sides and desserts such as Okonomiyaki, Misato Ebi Donburi and Seafood Kaminabe Set from as low as S$28.80++. Let me repeat that: Unlimited. Servings. Yes, please! 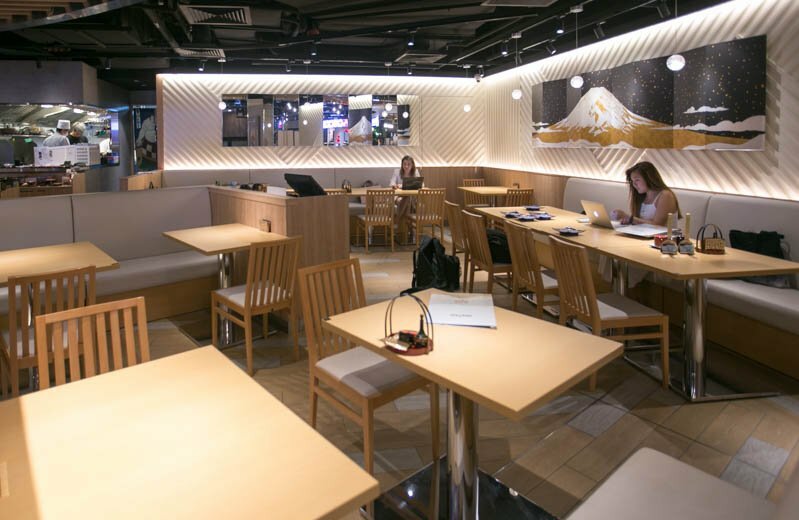 A contemporary and chic Japanese restaurant, Misato can be found at The Centrepoint’s first floor. You’ll recognise it by its illuminated signage, as well as the intricate decorations that line the storefront. From golden eggs that are primed neatly below the cashier, to interwoven zigzag designs on the floorboard, ceiling, walls and even its barriers, there’s no denying that Misato has an eye for detail. Its interior is delightfully bright, clean and sleek, with plenty of cosy couches lining the walls and sturdy wooden tables filling the space. What I particularly loved was the addition of mirrors to make the space seem more spacious, as well as the painting of Mount Fuji hanging on an inner wall, which evoked pleasant memories of being back in Japan. 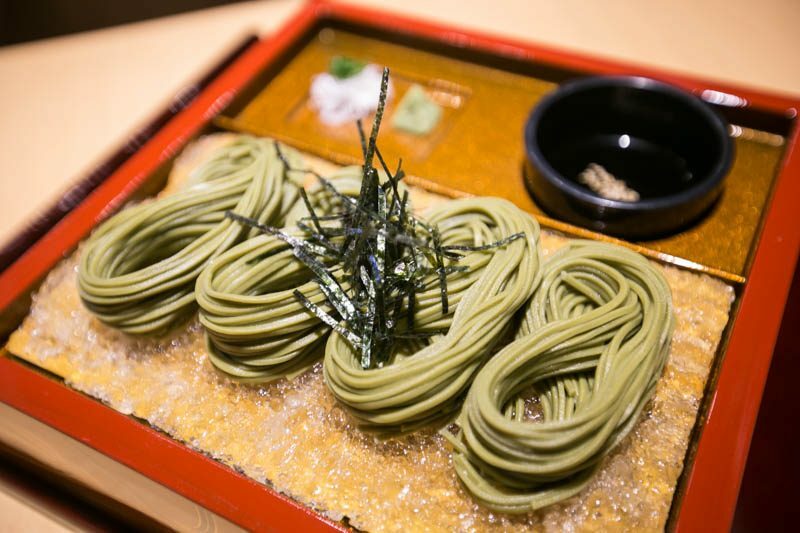 Typically, whenever I order a tray of cha soba, I’d expect to see an untidy pile of matcha noodles sitting atop a bed of shaved ice. Misato’s Cha Soba (S$14.90) is nothing like I’ve ever seen. Its rendition of this classic Japanese dish was served in a gorgeous bento box, with the delicate matcha noodles delicately twirled to form four petite egg shapes. 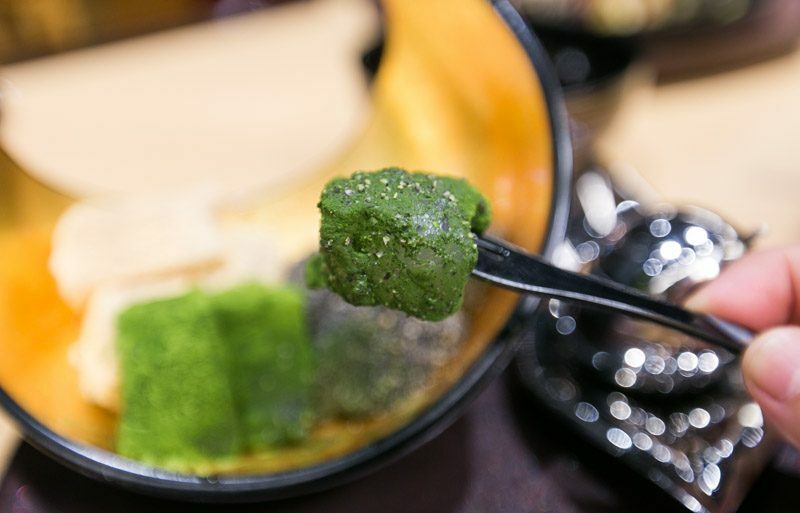 Its homemade dipping sauce was placed by its side, together with a petite triangle-shaped serving of wasabi and spring onions. What I absolutely loved about Misato’s Cha Soba was how springy and smooth it was. Freshly cooked upon order, these chilled matcha noodles were super slurp-worthy — what I tasted first was a pleasant sweetness from the noodles, and then the saltiness of the homemade dipping sauce took over. 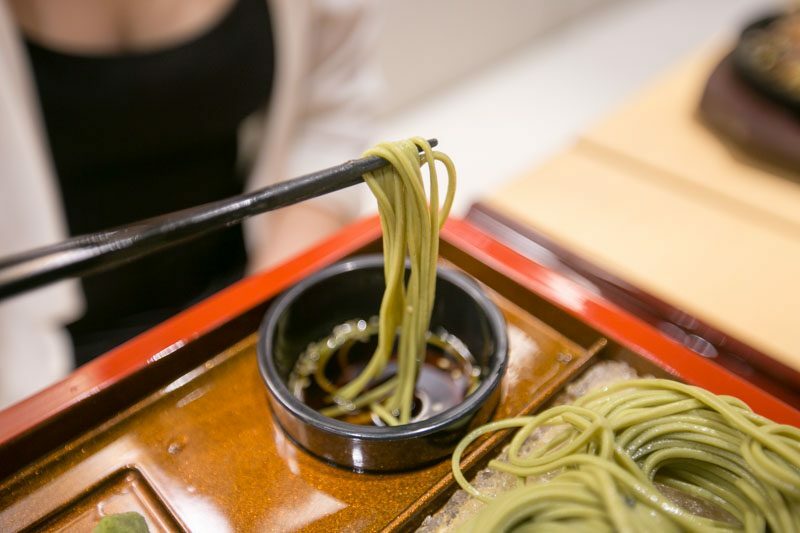 Our tip on how to best enjoy your cha soba: Stir the wasabi and spring onions directly into the dipping sauce for a minty-like spicy aftertaste. Then, dip the noodles into the cup and slurp directly from it so you catch all that umami flavours from the sauce. 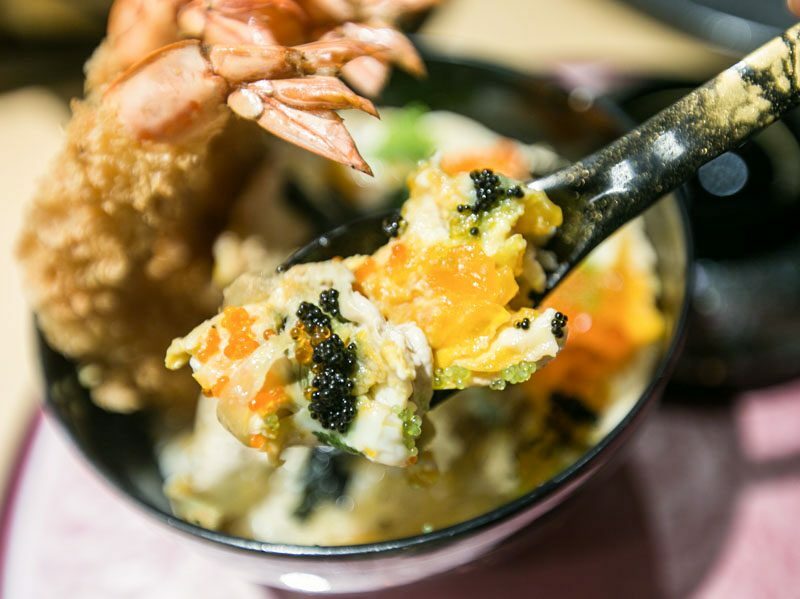 We were told by its owner, Tony, that its Misato Ebi Donburi (S$16.90) was inspired by the tail of a whale from the Alaska Sea. 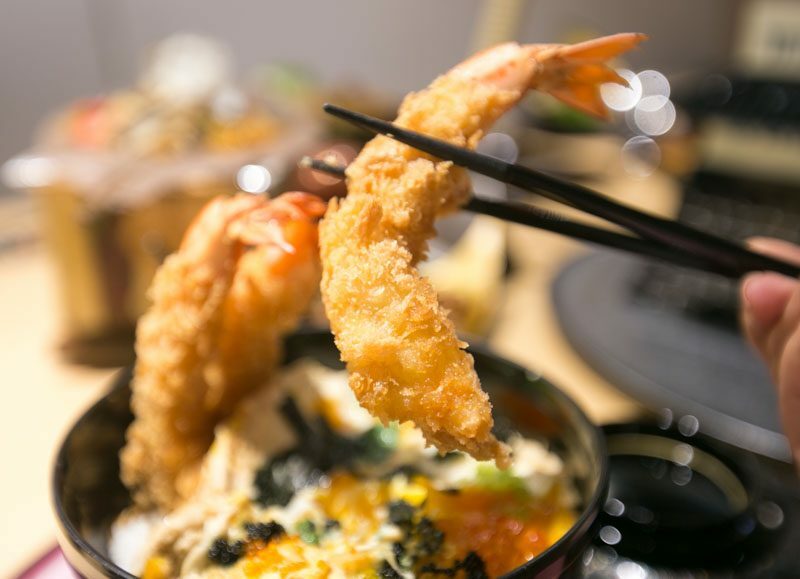 Its breadcrumbed live tiger prawns painted that very image and came with fluffy Japanese rice that had been doused with a seasoned broth and a fried egg, ikura, caramelised onions and seaweed. The tiger prawns were impressively huge. Its breadcrumb crust was crunchy and fresh, with a slightly buttery aftertaste, and the flesh itself was springy, firm and sweet. 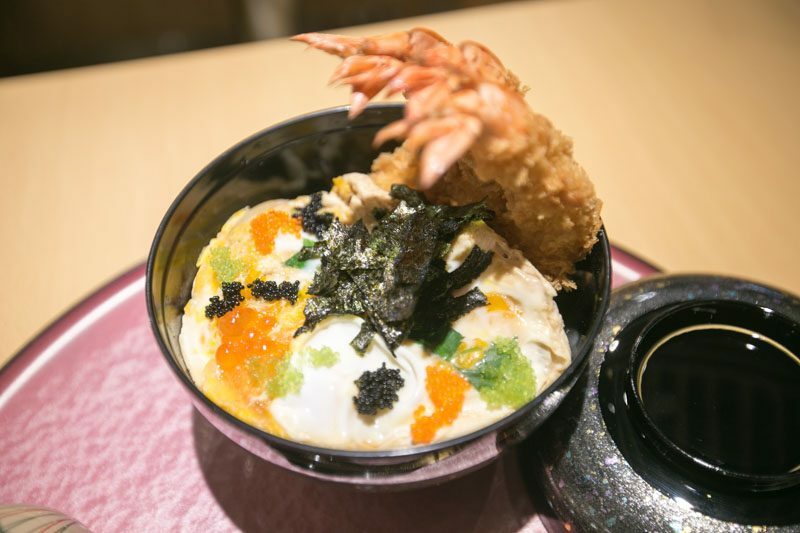 Every spoonful of its Misato Ebi Donburi was naturally sweet, thanks to its umami broth and its caramelised onions. I especially loved the generous servings of ikura, which gave little surprising bursts in my mouth. 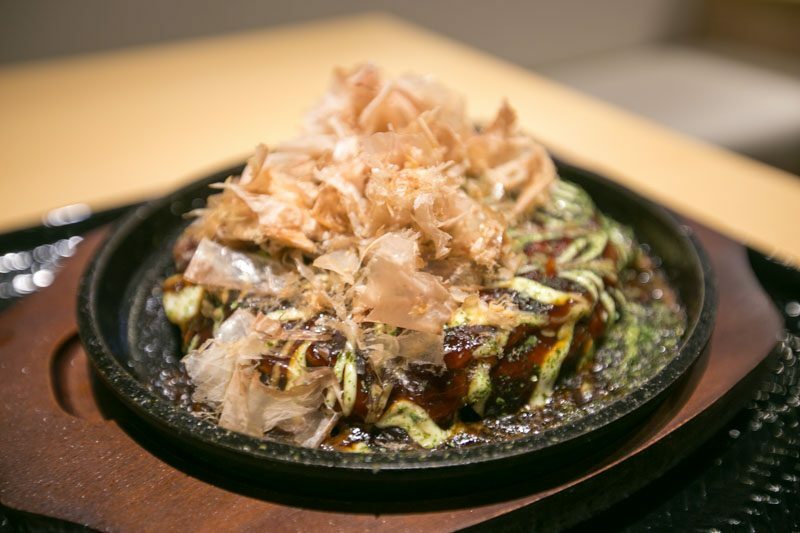 One of my favourite dishes off Misato’s menu was its Okonomiyaki (S$15.90). 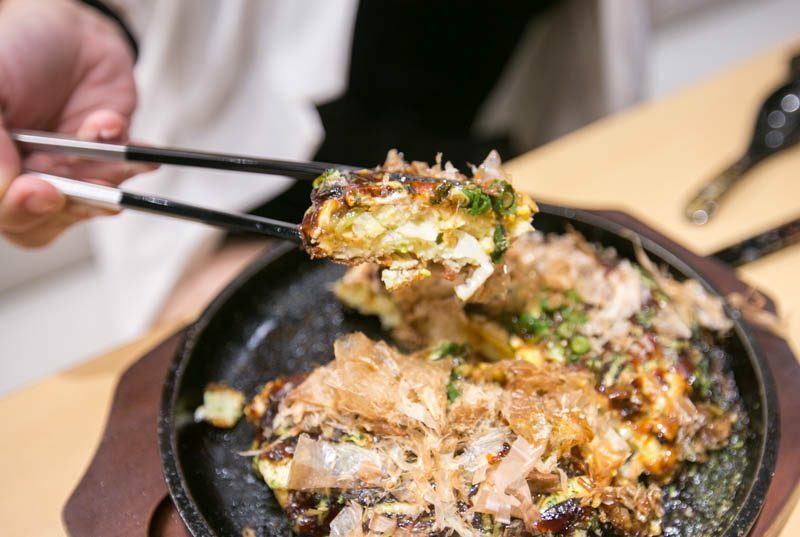 A massive savoury pancake made of cabbage, egg and pork belly, this classic Japanese street food is lathered with a tangy sauce and topped with dry bonito flakes. I particularly enjoyed the okonomiyaki‘s sauce, which was tangy and plum-like. The pancake was thick, with generous layers of cabbage, egg and pork belly, and the exterior was crunchy and crisp thanks to its time on the hotplate. The eggs used were really smooth and sweet, as if mirin or dashi had been added to it, and I loved the smoky aftertaste from the crispy pork belly. 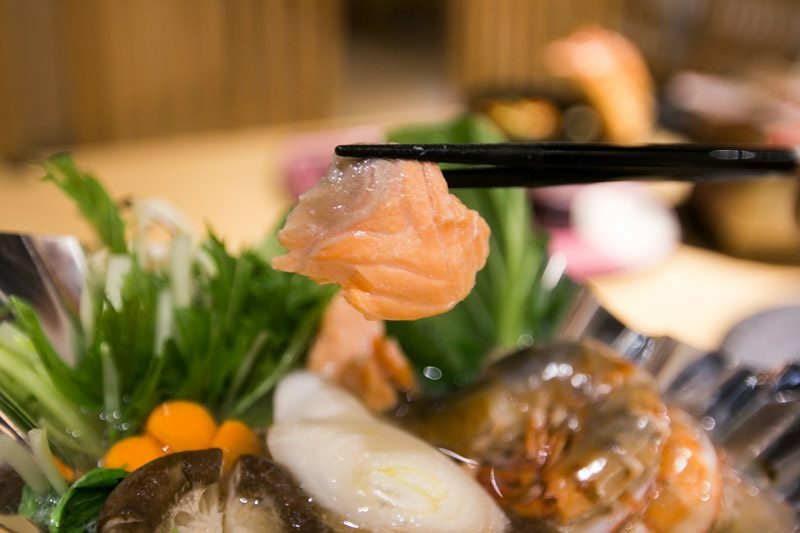 The Seafood Kaminabe Set (S$20.80) came with a generous amount of seafood and vegetables, such as live tiger prawns, fresh Norwegian salmon, assorted mushrooms, tofu, cabbage and carrots. 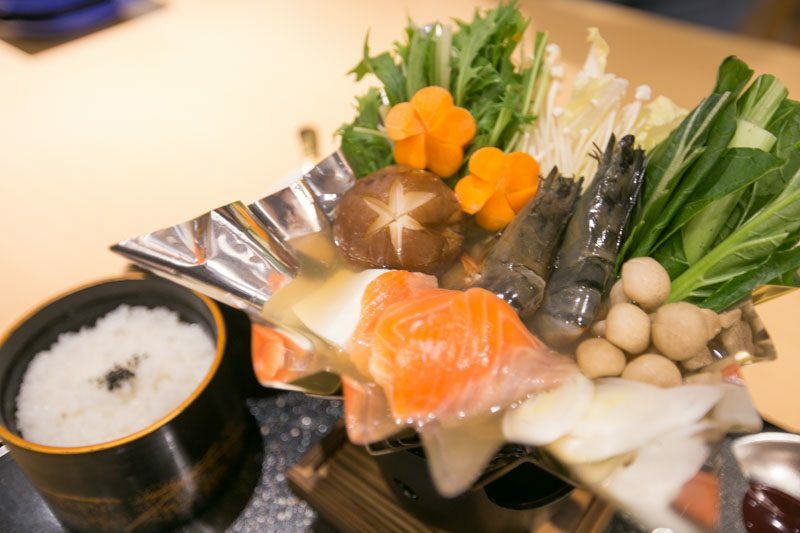 The one thing I loved about Misato’s paper hotpot was how fresh its seafood was. The Norwegian salmon was naturally sweet and I appreciated being able to cook it to my preferred doneness, so I could enjoy it just as I wanted. The soup was clear and light with a strong cabbage taste, and as the paper hotpot continued to boil, the soup became sweeter from the fresh seafood and stock. Pairing it together with the fluffy Japanese rice made for a comforting meal. The Handmade Gyoza (S$6.90 for six pieces) was served bottom side up, with an extended crunchy egg crisp and a vinegar dipping sauce. 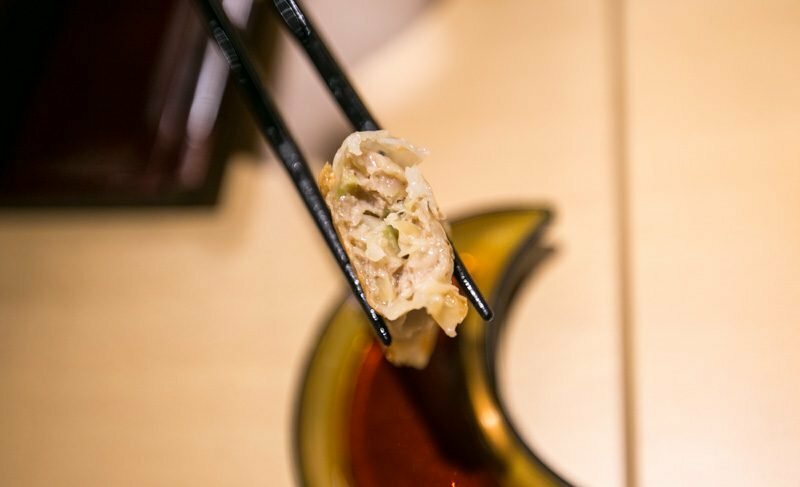 The gyoza skin was supple, thin and springy, and Misato was generous with the chicken and vegetable filling, which had been hand-chopped and wrapped before grilling. The crunch from the egg crisp gave an added texture which I thoroughly enjoyed. 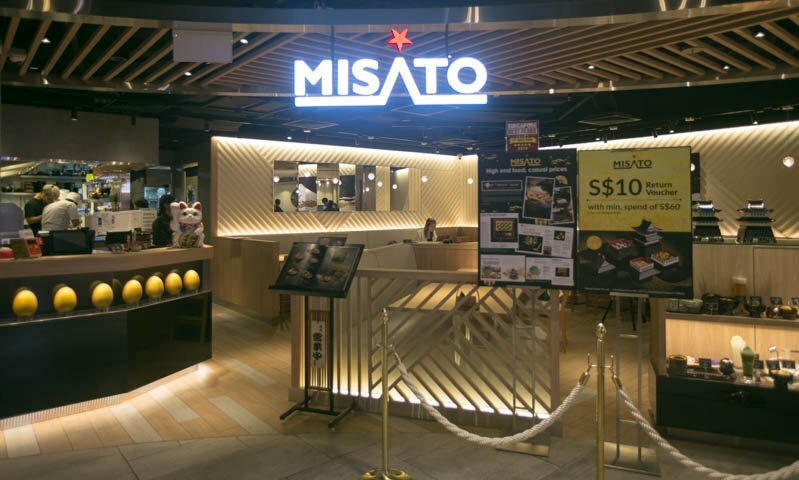 While Misato’s All-You-Can-Eat A La Carte Buffet gives you a variety of choices between donburis, hot pots, noodles and side dishes, you can choose to top up with just S$10 to enjoy its premium dishes, such as A5 Ohmi Wagyu Hoba Miso Yaki (S$43.80). 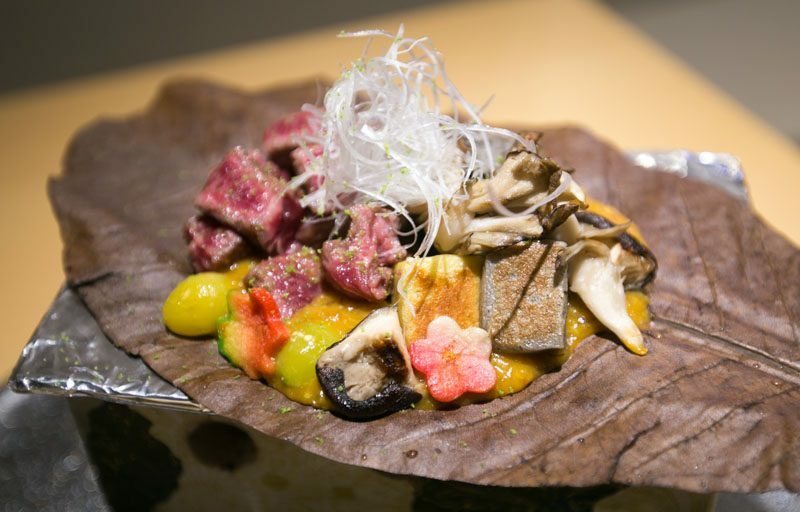 Melt-in-your-mouth charcoal grilled A5 Ohmi Wagyu beef was served on an impressive hoba leaf, together with other stellar ingredients from Japan such as shiitake and maitake mushrooms, ginkgo nuts, assorted nama fu and negi, with Misato’s secret miso mixture recipe. Hands down, this was my favourite dish out of the entire meal. If you’re telling me that I only have to top up S$10 to enjoy this utterly delicious dish, I’d do it in a heartbeat. The A5 Ohmi Wagyu beef was absolutely exquisite. It melted in my mouth like butter, with an amazing charred and smoky aftertaste. I also loved the miso gravy, which was sweet and caramelised and reminded me of a reduced carrot or pumpkin glaze. If you’re not a beef fan, don’t worry. 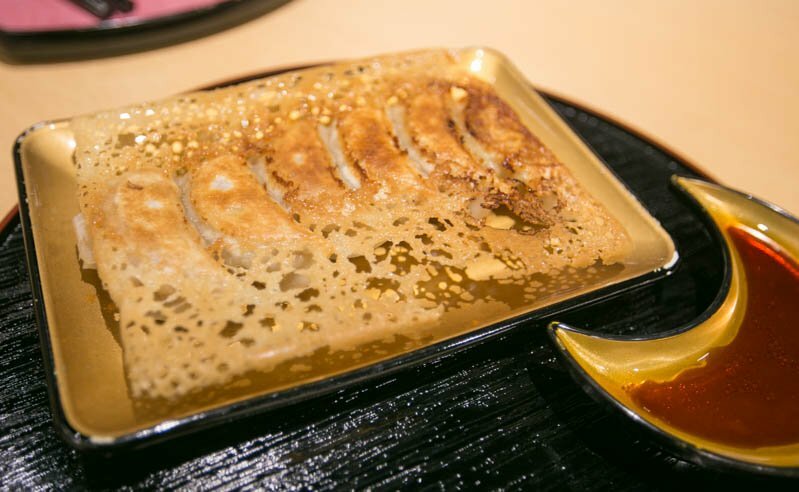 You can also choose any of Misato’s other premium dishes, such as Yasai Hoba Miso Yaki (S$18.80) or Miso Cod Chikuzen-ni Castle Set (S$28.80). If you still have room for dessert, go for Misato’s Sanshoku Warabi Mochi (S$8.80). Comprising three flavours: matcha, goma and kinako, Misato’s mochi is freshly handmade every day and takes about two hours to produce. 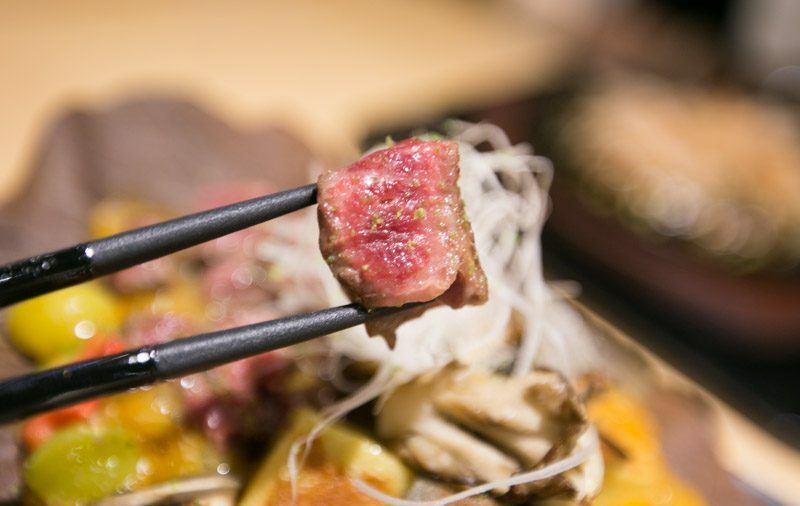 It also uses high-quality ingredients flown in directly from Japan, so you’re definitely in for a treat! This has got to be one of the best mochi I’ve ever had. 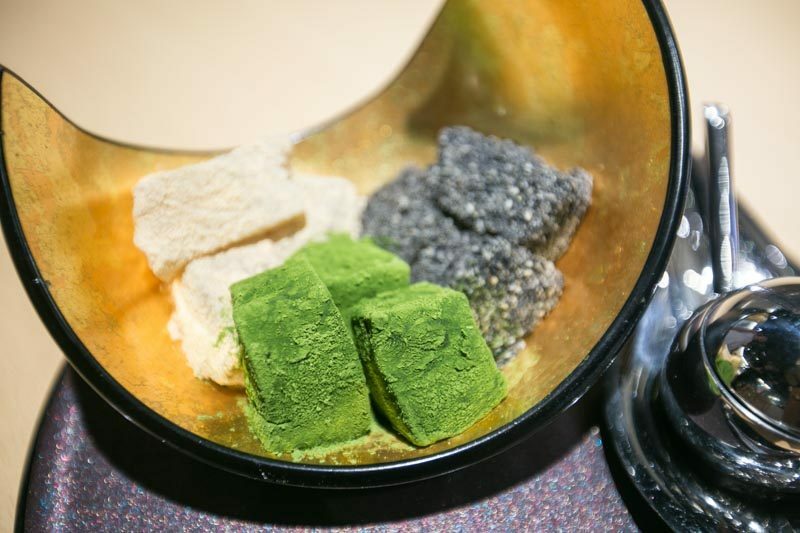 The cubes of mochi were almost jelly-like in texture, like aloe vera, and weren’t chewy or dense at all. In fact, I’d go so far to say that it melted in my mouth like a cotton candy ball. My favourite out of the three flavours was the matcha. The matcha wasn’t sweet at all. Instead, it was earthy and had a nutty aftertaste, and that’s how I knew it was authentically Japanese. I didn’t even have to add the sweet sauce to the mochi — that’s how naturally good it was. If you told me I could spend S$28.80++ to enjoy unlimited servings of delicious Japanese mains, sides and desserts, I’d jump at the opportunity. Not only are Misato’s authentically Japanese, with many of the ingredients imported directly from Japan, but it’s also executed well and presented beautifully in exquisite tableware and cutlery. Be sure to come on an empty stomach (and a friend or two) so you can take full advantage of Misato’s All-You-Can-Eat A La Carte Buffet. Let’s feast! *This post is brought to you in partnership with Misato.